Where I Ate in Strasbourg: La Corde a Linge. 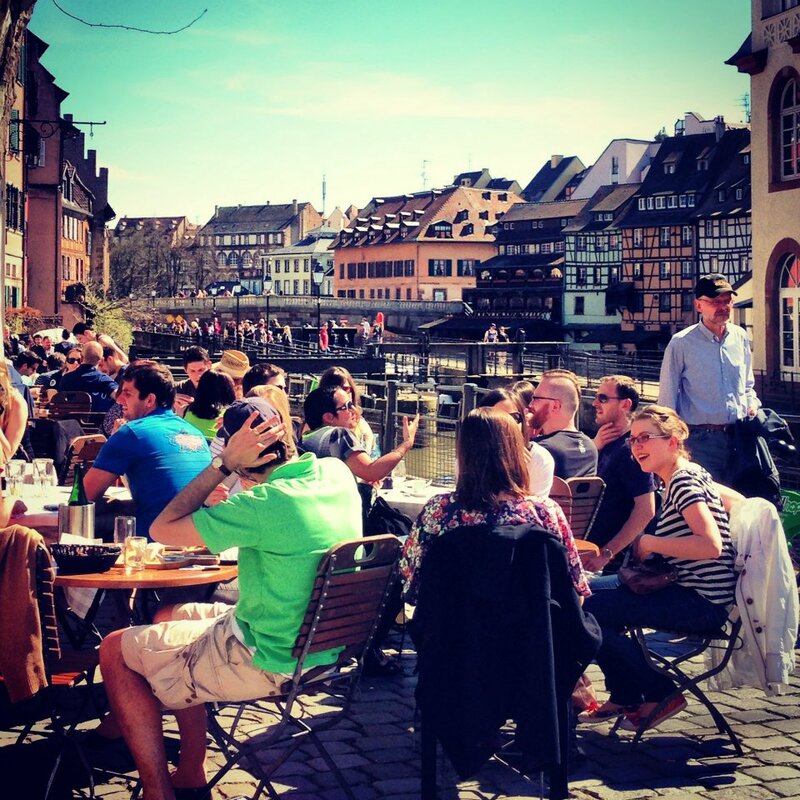 La Corde a Linge has the best location of all the restaurants in Strasbourg. Right along the Grand Canal with the dining tables located on the small square in front of the restaurant itself, it will be hard to beat if you are looking for the perfect La Petite France ambiance. I was seated on one of their outdoor tables to enjoy the scenery and the perfect weather. After 8 days of coldness and rain in Paris, the warm sunshine is such a welcome treat for me. As I was famished and knowing myself whenever I feel this way, I asked the friendly waitress what can she recommend for me to eat so that I won’t look at their menu anymore and be tempted to order more than what I can finish. Without even batting her eyelashes she said the burger with extra bacon strips. Sounds tempting and mouthwatering already so I said yes. 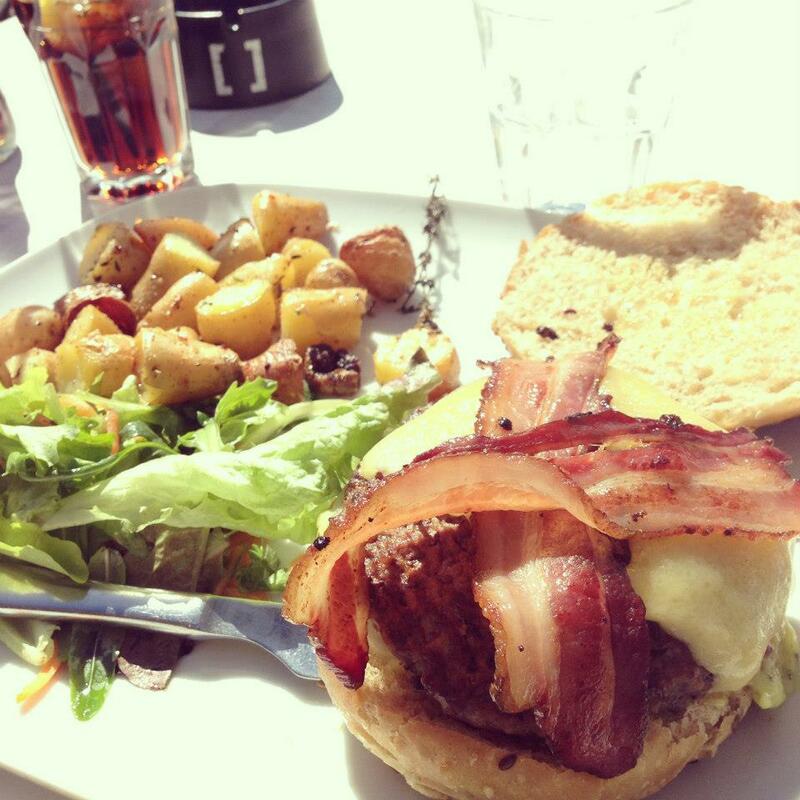 When the burger arrived, it looked astonishing – it was love at first sight. The patty was so juicy and the bacon was crispy. They served it with roasted potatoes which was a little crispy as well, just the way I like it. I’m not really sure if I was only famished that time or was it really the best burger that I’ve ever had. Nevertheless, I enjoyed every single bite and I had to force myself to finish the whole thing even if I was so full as I didn’t want to look back on this trip and realize that I’ve wasted such goodness for not finishing it all. Lol. To add more calories to this meal, I finished it off with a bottle of ice cold coke. :p The total bill was EUR21.40 for the burger with extra bacon, a bottle of coca cola and water which I think is all worth it with the quality of the food that they have and perfect location of their restaurant.